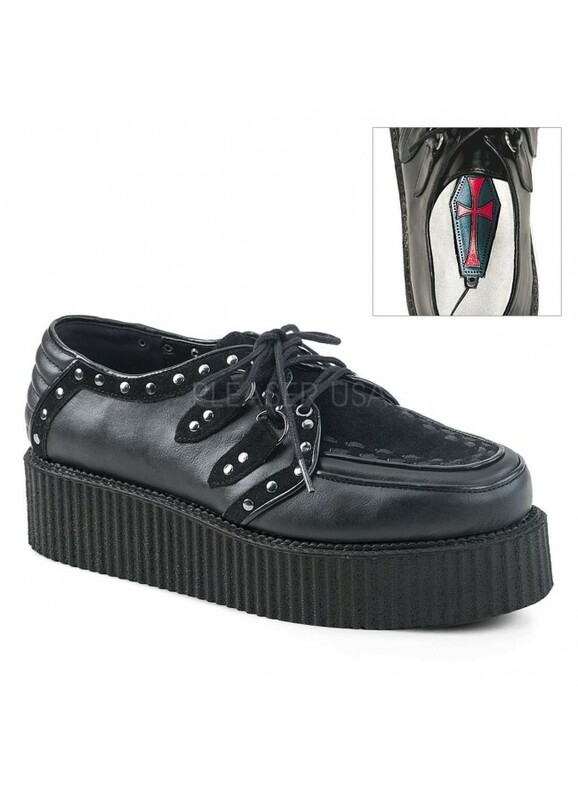 Subtle Gothic style mens sized Creeper is accented with studded Vegan Suede straps and back ribbing. 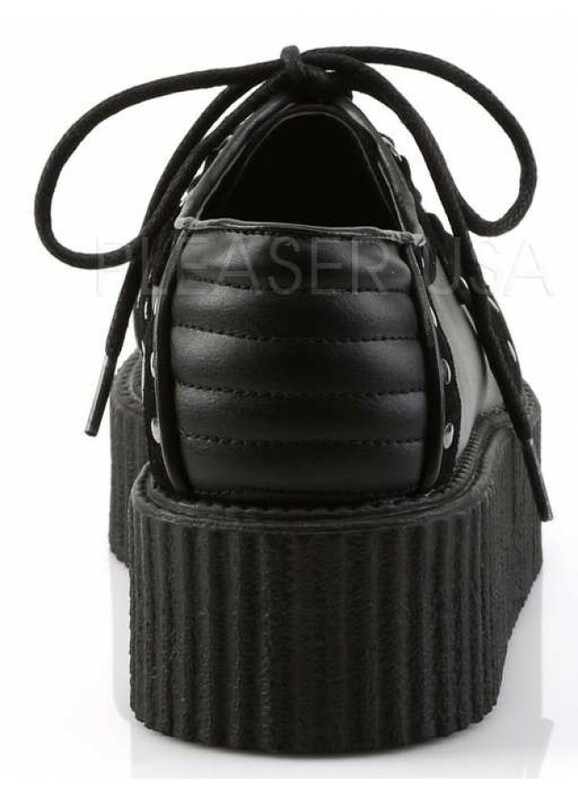 Men's Creeper loafer has faux suede accents with studs and lace up front. The back is padded and ribbed for extra style. 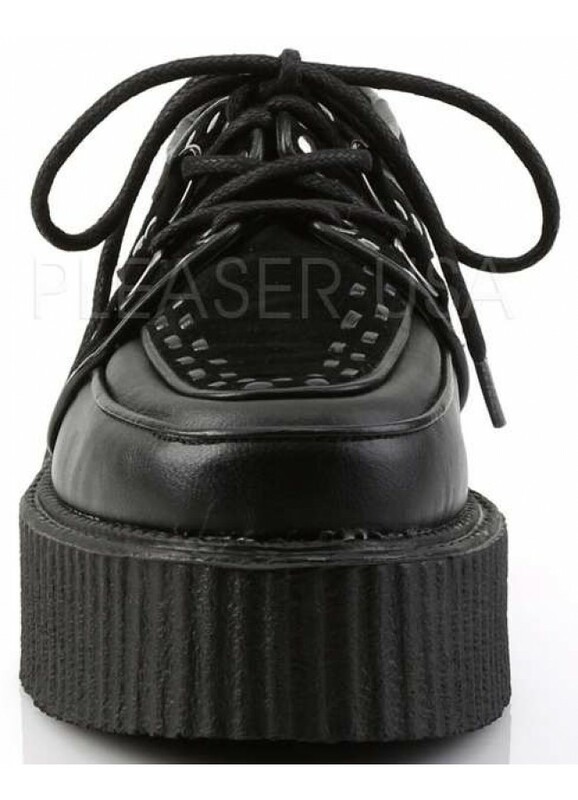 The 2 inch vertical ridged flatform heel gives just the right amount of lift. This style is made in medium width, mens whole sizes 4-13. Eco-friendly, all man made materials with padded insole and non-skid sole. Item Number: PL-V-CREEPER-535 | Approximate Size (Inches): 6.00 wide x 8.00 deep x 4.00 high | Approximate Shipping Weight: 2.50 lbs.